English is one of the fastest-expanding subjects at the University of Limerick. We study and create powerful writing, encouraging enquiry across a range of perspectives and traditions, through a variety of degree programmes and activities. Our research and teaching staff work in a wide array of specialisms, including Irish, American, and world literatures, creative writing, the study of gender and sexualities, modernisms, migration and post-colonial studies. We publish widely on topics from eighteenth-century poetry to contemporary North American fiction, the Irish Gothic to the occult life of Yeats, the nineteenth-century New Woman to human rights discourse and affect theory. Our students use the creative and critical skills they develop in our programmes to create new cultural realities. English at UL integrates its research interests and its teaching at both undergraduate and postgraduate levels. It can be studied as one part of a number of degrees including the BA Arts, the BA in English and History or the BA in New Media and English. At the graduate level, English has two taught MA programmes: the MA in English and the new MA in Creative Writing. Proceeding from the conviction that attentive reading and creative writing are intimately related, the study of creative writing at UL is workshop and literature based and integrates the expertise of our faculty in creative writing and literary study. 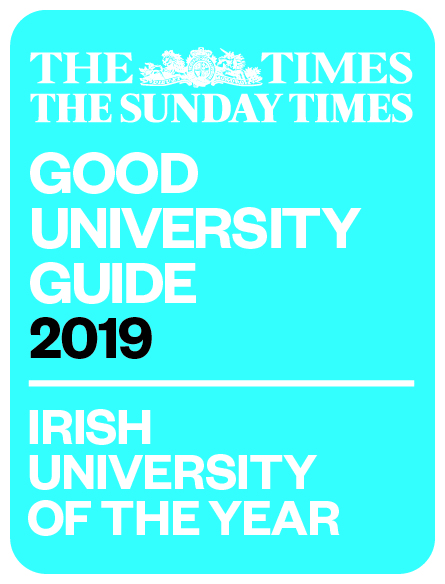 English also contributes to exciting multi-disciplinary programmes such as the MA in Comparative Literature and Cultural Studies, the MA in Gender, Culture and Society and the new MA in Critical Irish Studies. Our students have opportunities to study and work in Europe and around the world through international exchange and work placement programmes. They have the chance to follow their own inspirations to shape an extended independent thesis in their final year of undergraduate work, to work collaboratively and to engage individually with award-winning teachers and researchers. A degree in English provides vital skills such as the ability to see connections between a multiplicity of ideas and disciplines, to understand the nuances of language, to interpret written and cultural texts of all kinds, to write effectively and persuasively, and to move between print and digital worlds. Our graduates are passionate about the written and spoken word. They go on to become teachers, researchers, editors, consultants, entrepreneurs, public servants and community activists, and to work in media and public relations. Our MA and PhD graduates also work in academic institutions and as professional writers.